Professor M.S. Rao, Ph.D. is an international leadership guru who rose from humble origins. He is recognized as one of the world’s leading leadership educators, authors, speakers, coaches, consultants, and practitioners. He is a C-Suite advisor and a sought-after keynote speaker globally. He has 38 years of experience in executive coaching and conducts leadership development training programs for various corporate and educational institutions. He brings a strategic eye and long-range vision given his multifaceted professional experience including military, teaching, training, research, consultancy, and philosophy. He coined a new leadership learning tool―Soft Leadership Grid; a leadership training tool―11E Leadership Grid; and an innovative teaching tool―Meka’s Method. His areas of interest include executive coaching, executive education, and leadership. He is passionate about serving and making a difference in the lives of others. He trains a new generation of leaders through leadership education and publications. He advocates gender equality globally (#HeForShe). He shares his leadership wisdom freely with the world on his four blogs. His vision is to build one million students as global leaders by 2030 that is the winner of Leadership 500 Excellence Awards 2015, USA. He is the Father of ‘Soft Leadership’ and Founder of MSR Leadership Consultants India. He has authored 45 books including the award-winning ‘21 Success Sutras for CEOs’. His book ‘21 Success Sutras for Leaders’ was selected as the Top 10 Leadership Books of the Year―2013 by San Diego University, USA. His book ‘Success Tools for CEO Coaches’ is the Community Choice Winner from Small Business Book Awards for 2014, USA. He is the recipient of an International Award―International Coach of the Year 2013, USA. 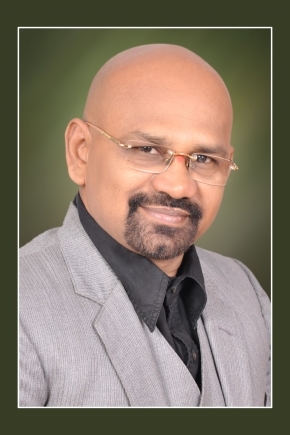 He has published more than 250 papers and articles in prestigious international publications including Leader to Leader, Thunderbird International Business Review, Strategic HR Review, Development and Learning in Organizations, Industrial and Commercial Training, Human Resource Management International Digest, On the Horizon, and The Journal of Values-Based Leadership. He serves as an advisor and judge for several prestigious international organizations including Global Leadership Awards in Malaysia, and Middle East Business Leaders Summits & Awards in Dubai. He can be reached at: profmsr14@gmail.com and additionally maintains four popular blogs including ‘Professor M. S. Rao’s Vision 2030: One Million Global Leaders’ URL: http://professormsraovision2030.blogspot.com.